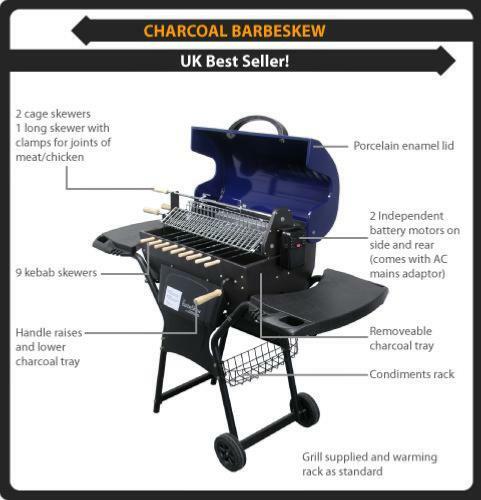 We think it's the best quality charcoal rotisserie BBQ available. 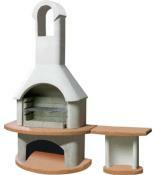 With 9 kebab skewers, main spit holds 2 chickens and barbecue rotisserie baskets included. 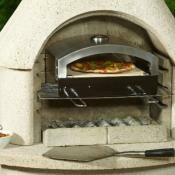 Perfect hands free barbecuing and delicious results every time. 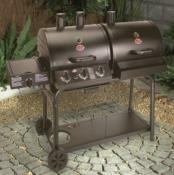 £250 off list price of £849.99 and now on sale at £599.99 with a free cover and free delivery. Banana cut with a sharp knife and then mash with a fork. 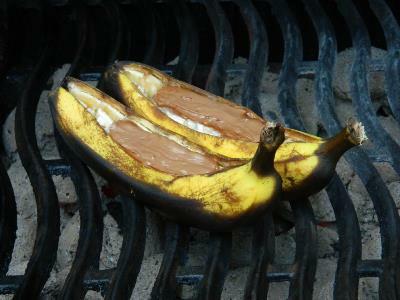 add chocolate and grill on the barbecue. Quick and easy BBQ pudding. 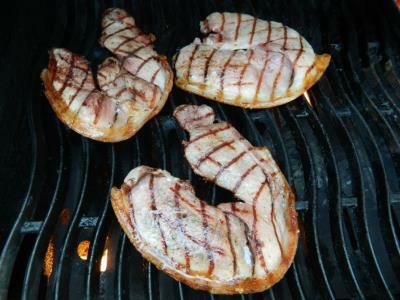 For a quick barbecue BBQ gammon steaks are ideal. Spray each gammon with cooking oil to help them stop sticking to the grill. 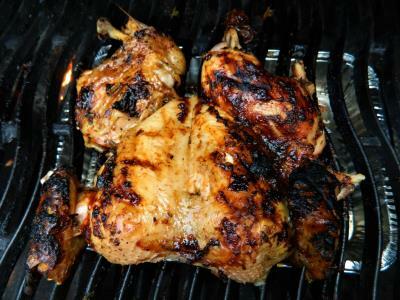 With a very hot barbecue to get that char-grilled flavour, grill for about 8 minutes each side. Best served with double egg and chips. Insert a drip tray under the centre of the cooking grill, add cherry woodchips in an open tin over one of the burners. Preheat your BBQ to 200 degrees C.
Cut the backbone out of the chicken using a good quality pair of scissors or poultry cutters. Press the breast side of the chicken down with your hand to make flat. Add a light coating olive oil all over the chicken, rub smoked paprika and salt and pepper into the chicken. When the woodchips have started smoking, place on the barbecue and cook using the indirect cooking method. Remove and allow the rest for 15 minutes. Just a simple barbecue roast turkey for Easter. Add washed giblets, 2 onions and 2 carrots peeled and chopped to the roasting tin. Add a tablespoon of rosemary, 4 cloves of garlic and a pint of hot water. Prepared the turkey for normal oven roasting, we added a smoked streaky bacon lattice top to help keep the breast moist. Add a coating of olive oil to the turkey and season with salt and black pepper. Add the turkey to the roasting tin. Cover the turkey with foil and seal on the edge of the tin. Add to a preheated BBQ at around 180 degrees using the indirect cooking method. Turn the middle burner off so no direct heat under the roasting tin. 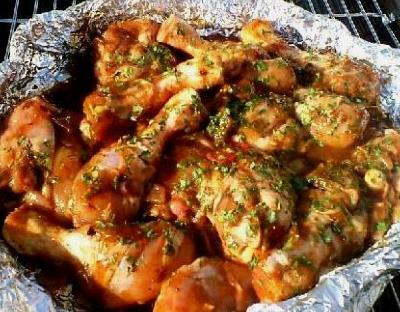 One hour before the end of the estimated cooking time remove the foil and continue cooking. 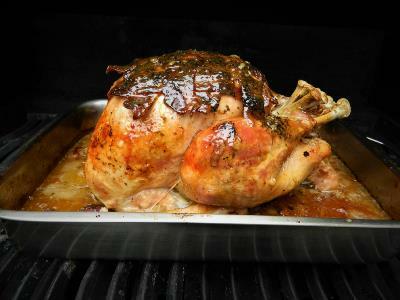 Remove turkey cover with foil and allow the rest, it will stay hot for over an hour so you can now roast your potatoes.